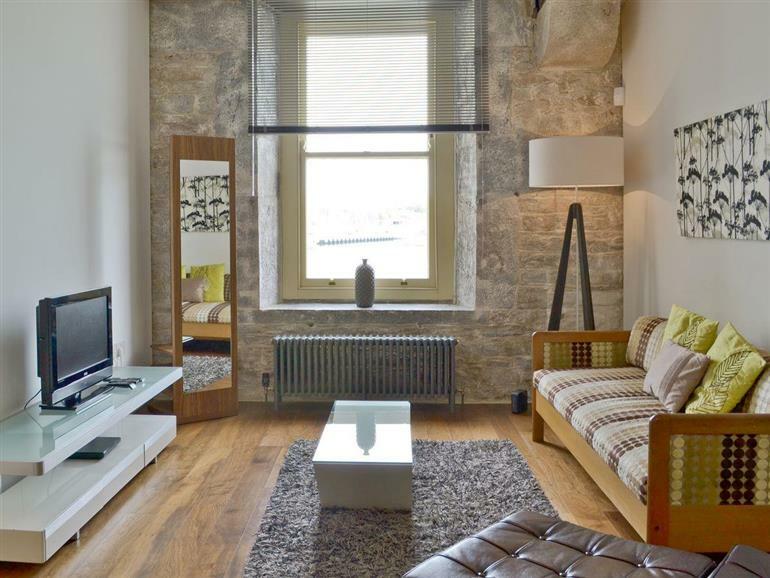 Number Six Mills Bakery at Drakes Wharf in Plymouth sleeps 4 people. Drakes Wharf in Plymouth are beautifully situated on the waterside, this iconic group of listed apartments (refs UKC90 [Number Ten Clarence], UKC91 and UKC92 [Number Fifteen Mills Bakery]) have been imaginatively designed using limestone and granite. The Grade I* listed Royal William Yard Harbour was once the Royal Naval victualling yard, which is now a range of luxury apartments, brought alive with bistros, cafés, art galleries and museums. These beautiful architectural apartments have timber roof beams, steel lintels, arched windows and magnificent views across the marina and sea. They offer contemporary living with sleek style and home from home essentials provided. The location is perfect for both business and for enjoying the wonderful waterfront city of Plymouth. 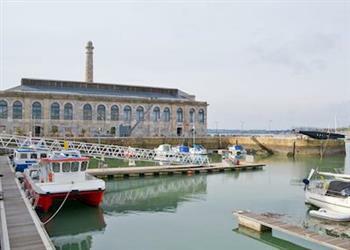 The Royal William Yard is a popular place in Plymouth with a wide choice of fabulous restaurants on your doorstep, offering quiet surroundings, a great ambience and wonderful views. The shop is ½ mile, with the pub 100 yards and restaurant 550 yards from Drakes Wharf in Plymouth. Number Six Mills Bakery has stairs or lift to first floor: Open-plan living/dining room with wooden floor, sea views and kitchen area. Double bedroom with 5ft bed. Shower room with toilet. Note: The properties (refs UKC90 [Number Ten Clarence], UKC91 and UKC92 [Number Fifteen Mills Bakery]) can be booked together to sleep up to 10 people. For a better idea of where Drakes Wharf - Number Six Mills Bakery is, you can see Drakes Wharf - Number Six Mills Bakery on the map below. Drakes Wharf - Number Six Mills Bakery is in Devon; should you be on the lookout for a special offer, you can find all the special offers in Devon. It's always worth checking to see what is on offer at the moment. Do you want to holiday near Drakes Wharf - Number Six Mills Bakery (UKC91), you can see other cottages within 25 miles of Drakes Wharf - Number Six Mills Bakery; have a look to find your perfect holiday location.